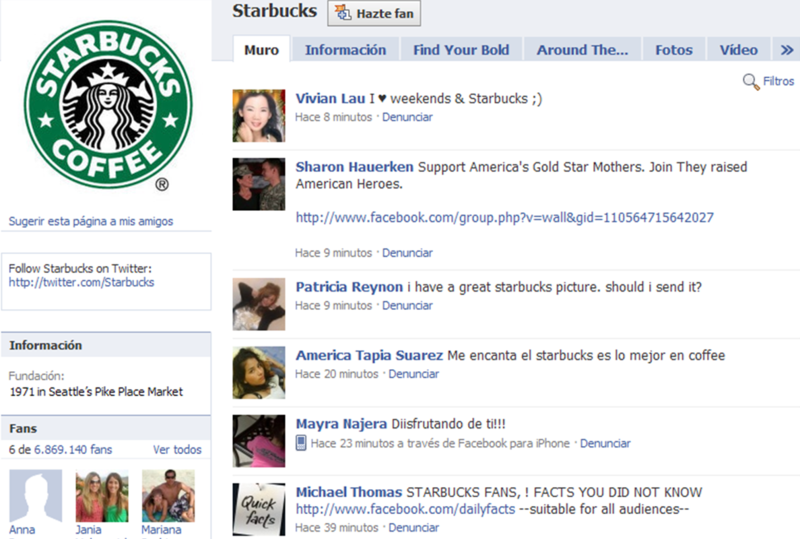 The Starbucks Facebook Fan Page has achieved a great number of engaged active fans by creating great videos and content. But what differentiates Starbucks from other brands on Facebook is its use of status updates which provide a two-way communication between them and their fans. They provide fun and interesting content. Their updates share videos and blog posts about all aspects of coffe. This has led to a very engaged fan base, with every update receiving thousands of comments. The Red Bull Facebook Fan Page provides their fans with content that encourages them to interact and connect with the Red Bull brand. The main characteristic is the incorporation of Twitter into their Facebook fan page. 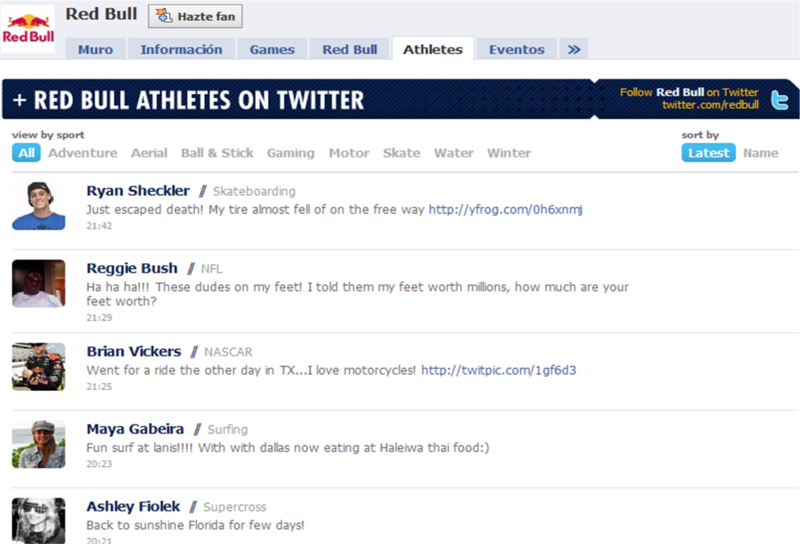 They have aggregated tweets from sponsored athletes like snowboarder Shaun White and included them directly in their Facebook Fan Page. Red Bull definitely knows its audience and understands that the best way to connect with them on Facebook is with humor, fun, and by being creative. After seeing these brands on Facebook I can see that brands which have engaged customers are those that have creative content, two-way communication, videos and images, and a fun and casual tone. One key element of a successful Facebook Fan Page is that a company has to know its audience and provide quality regular content encouraging discussion and engagement among fans. If you have some interesting examples of Facebook Brand Fan Pages, please feel free to share them.